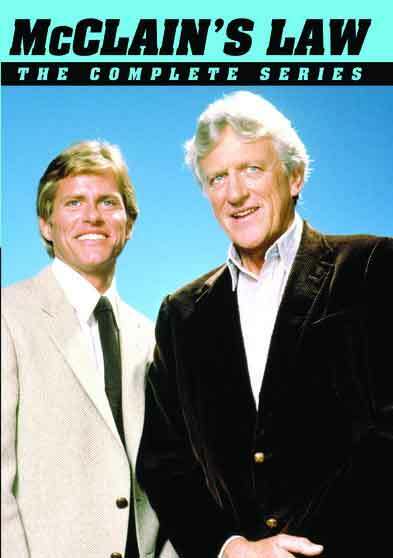 McClain’s Law – Fate deals a cruel blow to retired detective Jim McClain (James Arness) when his partner and close friend Sid Lammon is brutally murdered. McClain is not only shocked by the senseless killing but frustrated by what he views as the plodding investigative methods of the modern police force. Openly clashing with detectives Harry Gates, Jerry Cross and their chief, Edward DeNisco, McClain decides the only way to beat em is to join em. Earning the right to carry a badge again, McClain brings his street-smart, street-tough maverick style of police work, causing chaos in the squad room until his fellow officers see that this old-school rogue is ready to work within the new rules. This is the complete series.